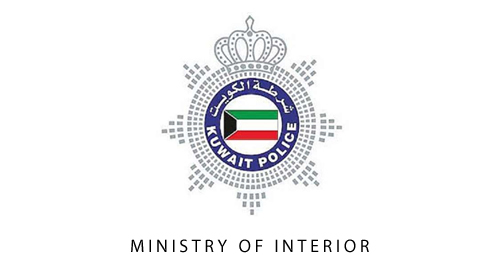 KUWAIT: Policemen freed a pregnant woman from a hotel room after her husband locked her inside and forcibly taking her from an Eqaila complex. He had beaten her till she was bleeding and threatened to kill her. The woman, a Kuwaiti, was in an Eqaila mall when she was assaulted by her husband and dragged outside. She screamed for help but no one interfered. He then took her to a hotel in Salmiya where he viciously beat her. The victim called the police from a phone in the room and they helped free her and took her to a nearby hospital. The husband is being sought for questioning. A Kuwaiti child had a cupboard fall on her at home and was rushed to Jahra hospital and is due for surgery. The father had brought the girl in a critical condition, and told doctors a cupboard had fallen on her. Police later lodged a complaint of negligence with a minor against the father. A Kuwaiti was shocked when she found her husband cheating on her with her best friend at home. She left work early and when she arrived home, she found her husband in bed with her best friend. She became furious and started to exchange blows with the friend who eventually fled from the house. The husband, unable to control his wife, started to beat her and left the house. The wife then went to the police station and lodged a complaint. Investigations are underway. Police responded to claims by a Sri Lankan saying he found his wife was staying with a stranger in a Hawally flat. Both were arrested after a warrant was obtained. The Sri Lankan had doubts about his wife’s behavior and kept a close eye on her. He began following her outside and after a while he saw her enter a flat unknown to him. He then asked the haris (custodian) of the building whose flat it was and he told him that another Sri Lankan man lives there alone. The husband called the police and has lodged a complaint against the two alleged lovers. A thief stole a 120 meters long cable from a construction site pertaining to the National Guard. The company’s lawyer complained to an Ahmadi police station about the theft, which occurred in the site located east of Sabah Al-Ahmad city. Detectives are working on the case. The body of an Indian who committed suicide was identified by the coroner. Police received a call about a suicide that took place behind a gas station south of the country, so police responded and found the man had hung himself. The public prosecution was informed and the body was recovered by the coroner.